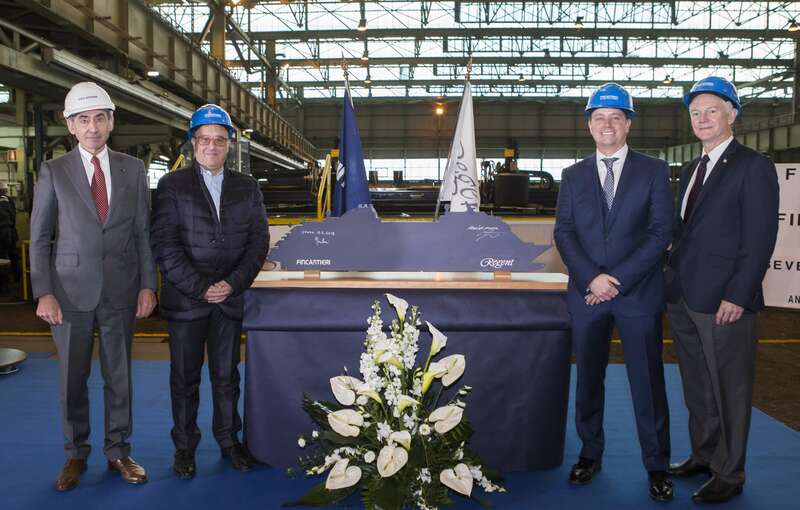 Construction of Seven Seas Splendor – the ship that will set the new standard for all-inclusive luxury at Regent Seven Seas Cruises ­– has begun at Fincantieri’s Shipyard in Ancona. The cruise line’s President and Chief Executive Officer Jason Montague, Norwegian Cruise Line Holdings’ Executive Vice President of Vessel Operations Robin Lindsay, Regent’s Senior Vice President of Hotel Operations Franco Semeraro and Shipyard Director Giovanni Stecconi pressed the button to ignite the cutting torch to shape the first plate of steel for Seven Seas Splendor. The new 750-guest ship will join the Regent fleet in early 2020, in pursuit of the ultimate achievement – perfection. The inaugural season for the all-suite, all-balcony ship will go on sale this spring. Seven Seas Splendor will join Regent’s luxurious fleet comprising Seven Seas Explorer, Seven Seas Voyager, Seven Seas Mariner, and Seven Seas Navigator. For more information about Regent Seven Seas Cruises guests can call 02380 682 280.